Weapon skins have been added to Fortnite Battle Royale game files with the latest patch. "Fortnite Battle Royale" players have received the patch 5.40 on the morning of September 6. The patch was originally scheduled for Wednesday, one day earlier, but Epic Games had to postpone it due to a controller issue that appeared unexpectedly. Fortunately. the developer released the patch, adding a lot of new content, including a new event and exclusive cosmetic items. The most recent update has also added many new files and folders to the game data, revealing new content that will be released soon. This patch, in particular, has added some very interesting data, including WeaponSkins folder. Many "Fortnite Battle Royale" players have wanted to see weapon skins in the game, and it seems that the video game developer is finally going to release them. Epic Games has released a few different models for the same weapon in the past. For example, Rocket Launcher received a special skin for the Halloween, while Grenade Launcher was turned into both Snowball Launcher and Egg Launcher. However, these were skins which were added by the developer and the players had no control over them. Twitter page FNBRLeaks has revealed the newly-added folder, showing us that the video game creator is planning to allow players to modify their weapons. Weapon skins that are coming to the game would allow players to choose different skins for their weapons. These skins may simply change a physical appearance of the item, but they could also have something extra, such as sound effects. 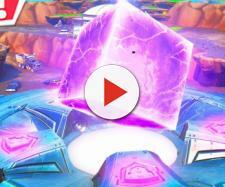 Players who have used a modified weapon, such as Egg Launcher, remember that it had different sound effects, and its projectiles were much bigger than the projectiles fired from a regular Grenade Launcher. 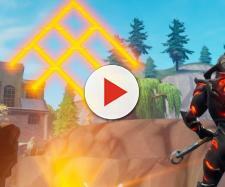 "Fortnite" developer is no stranger to weapon skins as the PvE mode of the game had some special skins during a few events. For example, M4 rifle, which is a common assault rifle in "Fortnite Battle Royale," had a special orange skin for the Halloween. At the moment, no one knows how exactly weapon skins will work in "Fortnite Battle Royale." 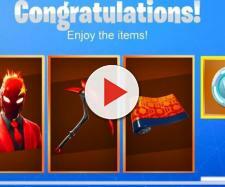 Epic Games may decide to put them on sale in the item shop or to simply have players complete special challenges to unlock them. It is very likely that the game developer will let players unlock special skins for their weapons. Not only will this make guns look different, but it will allow players to show off their skills by unlocking most prestigious weapon skins.